Top U.S. defense officials have long stressed that the nation’s air superiority is at risk as other countries build rival, state-of-the-art planes. But now U.S. forces face another significant challenge in Iraq and Syria: inexpensive, commercially available drones. For the first time in nearly 65 years, U.S. ground forces are under attack from enemy aircraft, primarily small quadcopters or drones that cost about $650. “Our ground forces have not come under attack from enemy aircraft since the Korean War 65 years ago,” the Air Force said in a video presented during an event hosted by the Mitchell Institute for Aerospace Studies Jan. 4. Notably, groups associated with the Islamic State are using commercial drones outfitted with ordnance. 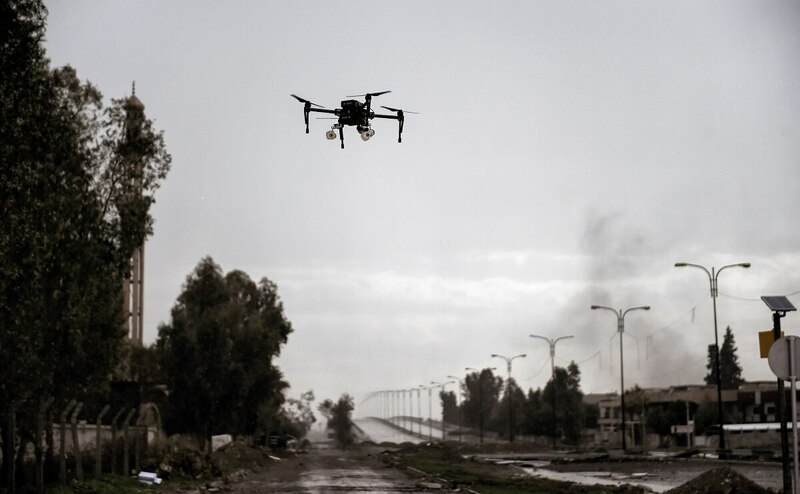 ISIS flew over 300 drone missions in one month during the battle for Mosul, said Peter Singer, a senior fellow and strategist at the New America Foundation, during a November presentation at the CyCon conference. About one-third of those flights were armed strike missions. The most expensive UAS device available on Amazon costs $22,000, Lt. Gen. Jack Shanahan, director for defense intelligence within the Office of the Undersecretary of Defense for Intelligence, said in March. Both the MQ-1 Predator or MQ-9 Reaper cost significantly more than $22,000. Instead, ISIS is purchasing small quadcopters in the $650 range, he said. Some outside experts and observers have noted that these small commercial systems give groups like ISIS their own mini air force, enabling intelligence, surveillance and reconnaissance as well as close-air support. This provides the militant group with a tactical-level air force capability that many states did not even possess 10 years ago. In fact, Lt Col. Joe Salinas of Army Special Operations Command said at an October Defense Innovation Board public meeting that U.S. service members returning from Syria are saying they don’t own the airspace under 3,500 feet. While not characterized necessarily by altitude, Nowland said these systems are characterized by sizes. The larger, higher flying drones lead to clearer air superiority issues, Nowland said, while some of the smaller quadcopter type devices — while still a threat — are approached from the perspective of protecting a base or installation. In other words, defending the immediate airspace above a predetermined perimeter. Part of the problem defending against these devices, however, is simply finding them, Nowland said. Then, once they’ve been located, what’s the next step? By teaming with industry and the Air Force Research Laboratory, Nowland said the Air Force is trying to get some capabilities into the field. While some have been deployed, he said more needs to be done. One approach: fighting drones with drones. The Air Force Research Lab, in conjunction with Joint Improvised-Threat Defeat Organization, is working on a solution in which small drones patrol the skies for enemy devices, deploying a net to capture potentially adversarial drones.